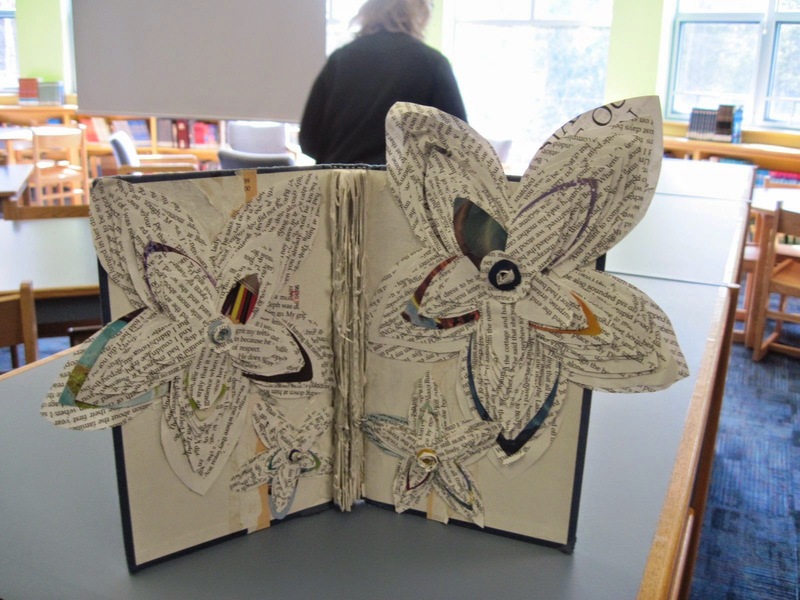 Footnotes from Room 104: Altered Book Show! 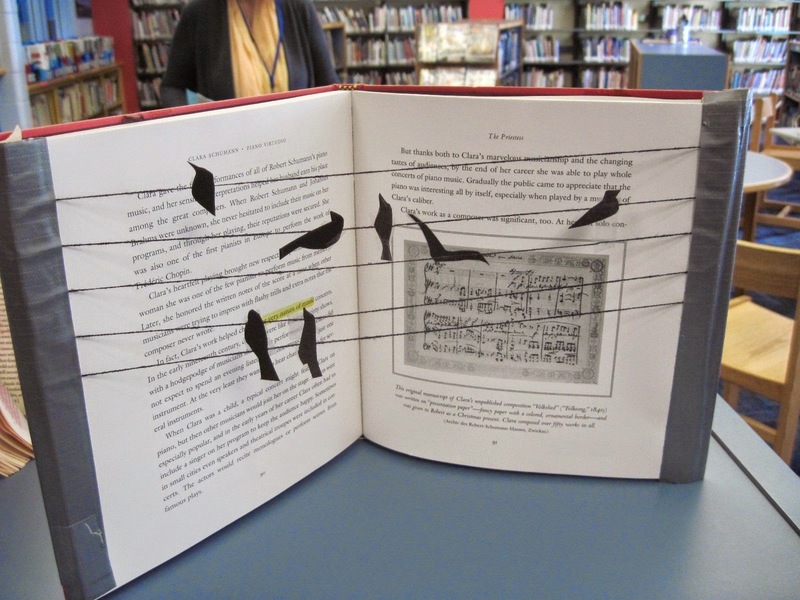 Below you will find snapshots of our altered books, along with the artists' statements. The books were on display in our library for a few weeks during the spring of 2014. It's hard to do them justice here, but we hope you will enjoy the collection! 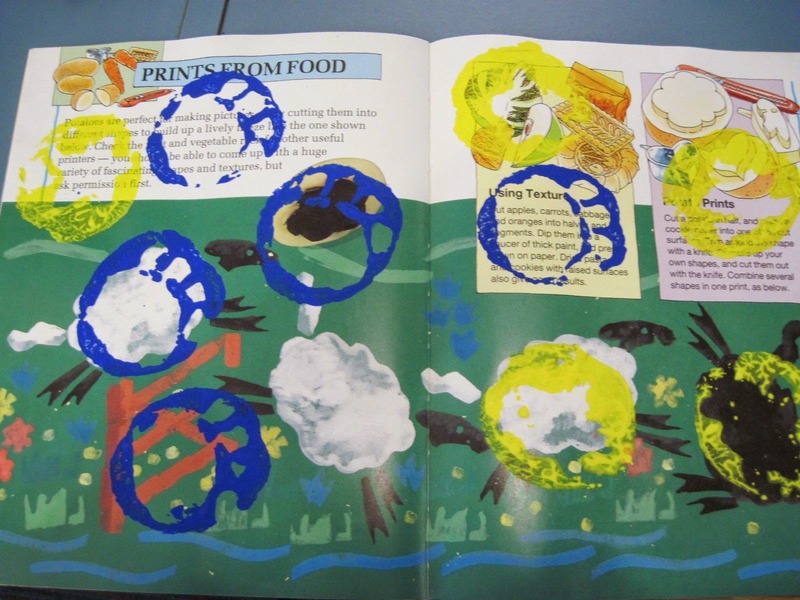 I altered this book to signify that books can take people on a journey. While reading, you can travel anywhere your imagination takes you. You can do anything. Where will you go next? --Emma W.
Books are wondrous adventures for people any ages, so I chose to make my altered book with randomness, I made it up as I went along. I did this to represent all the different kinds of books available. I also said that books can grow on you (hence the tree on the front) meaning that you should not drop a book immediately even if at first it doesn’t appeal to you. So, I think the message I was trying to get across was that books are amazing and that reading is an adventure in itself. I want you to experience the excitement in reading! You never know what a book will unleash! 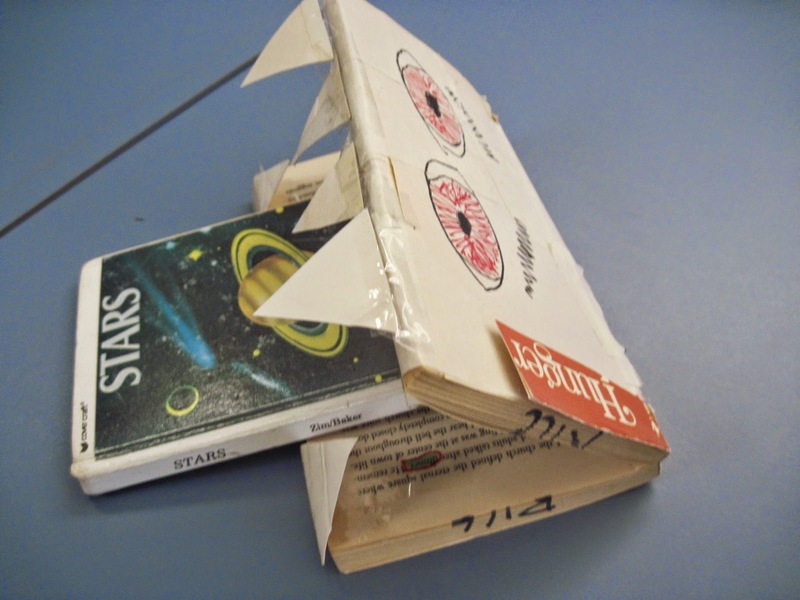 This book represents being hungry for more books. Have you ever heard someone say “You are devouring that book”? This book is hungry for more books and knowledge. What will it devour next? 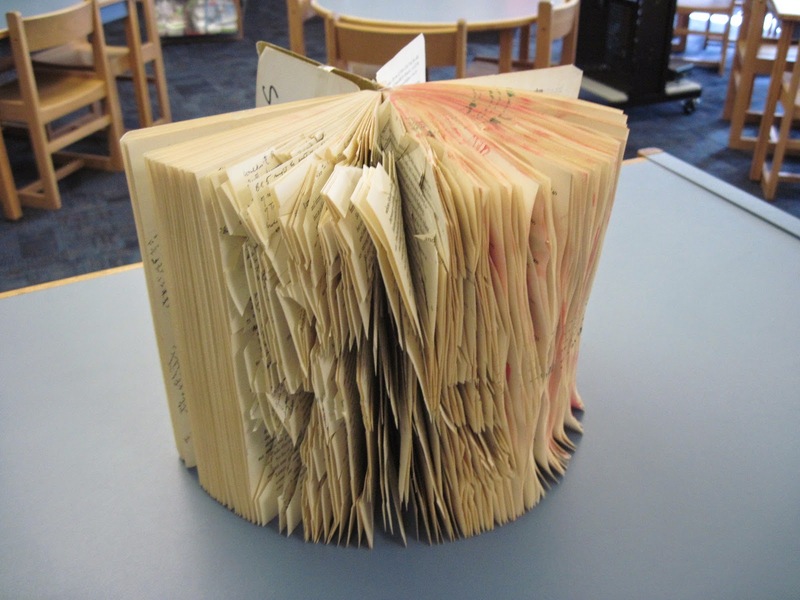 The message of my altered book is that if a book is really good, it will feel like a hand is pulling you in. 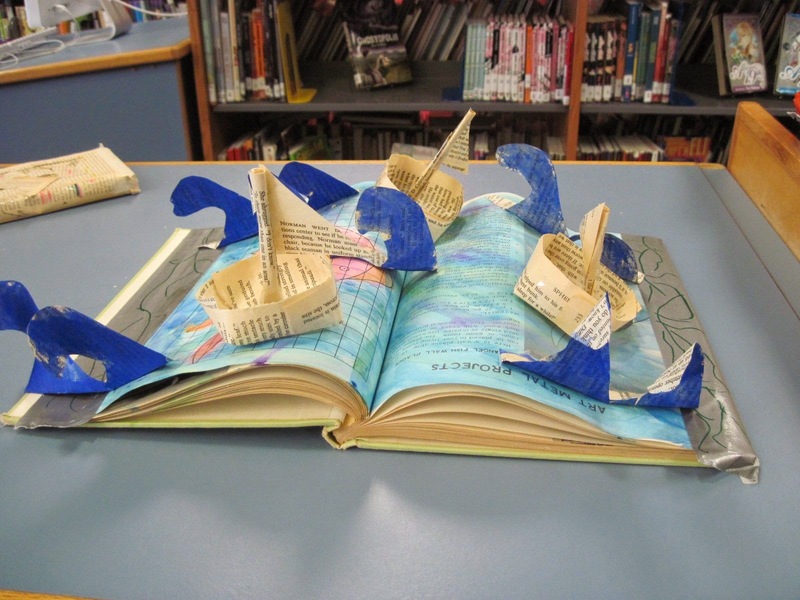 That’s why I had a hand cut out of a paper coming out of the pages, to show how a book grabs a hold of you. Art takes on a shape and form of its own in its creator’s hand. Step by step it comes alive. 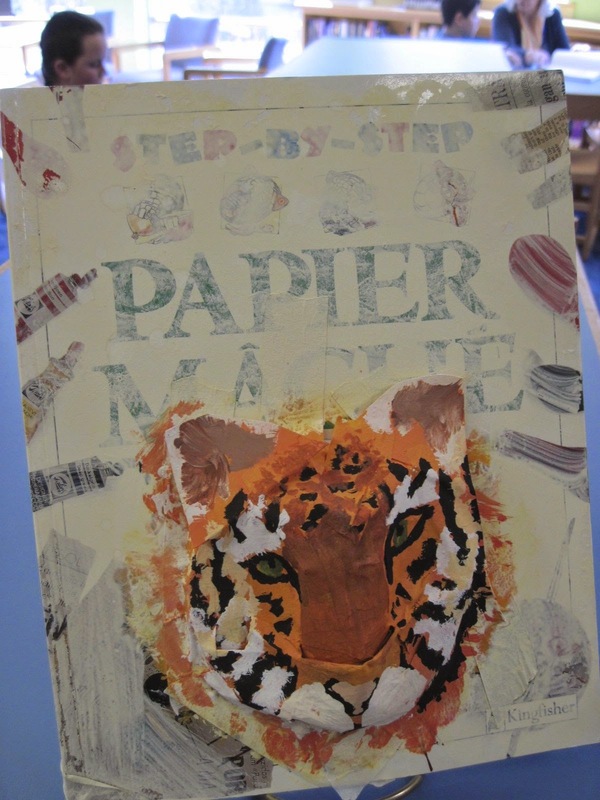 Books are a form of art built with words that can help lead to other art, like papier-mache. 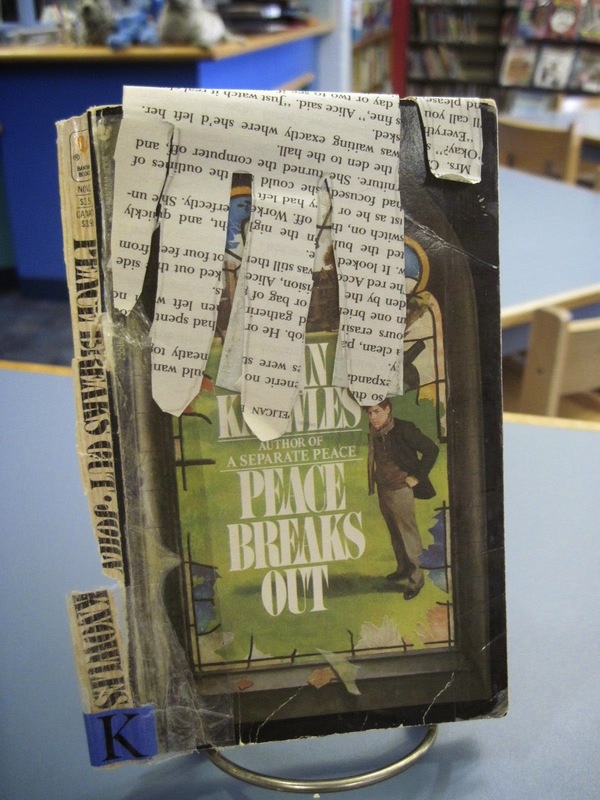 For my altered book, I choose to show how war is an endless circle, no matter what time period. To do this, I took a copy of the Iliad, which recounts the Trojan War, one of the most famous wars in mythology. 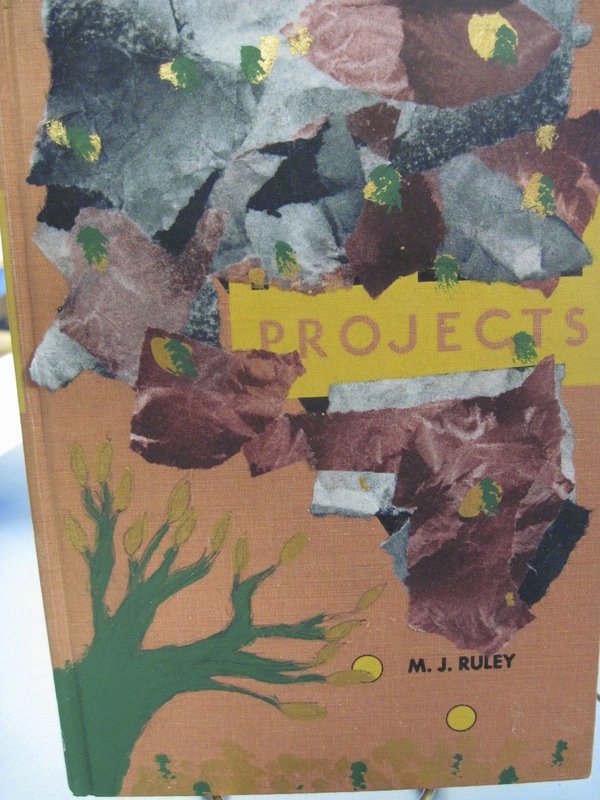 First, I taped the book’s covers together so its pages went in a rough circle. Then I divided the book into four sections to show the different ways war is terrible. In the first section, I highlighted every word that had to do with war, battle or death to show how much it appears. 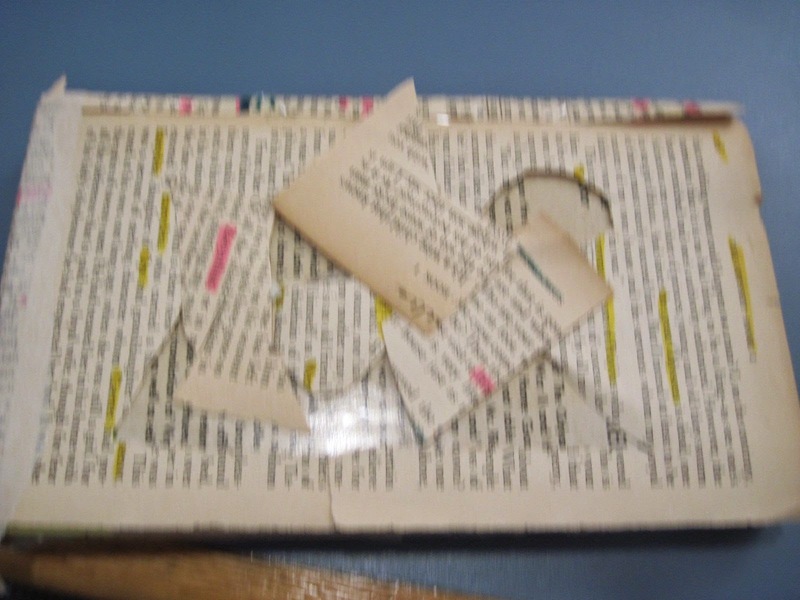 In the second section I cut up most of the pages to show how war needlessly destroys many things. In the third section, I painted the pages red to show how war colors the lives of all who are involved. The fourth section I simply tore out to show how war often destroys things and never gives them back. That is how I altered my book to show how war is an endless circle. I've highlighted all the names that are mentioned in the Odyssey to represent the idea that you die twice, once when you stop breathing and then you really die when no one speaks your name again. The Odyssey has been around for ages, and people still read it and speak the names of the people in it, so in a sense, even though Odysseus and all the others were never alive in the first place, they haven't died that second time yet. My book is wonderful. It shows the true value of potatoes. Some people think that potatoes are just meant to be eaten. This book should prove those idiots wrong. My book shows that potatoes themselves are pieces of art, and they can make art as well. Potatoes, therefore, are more useful than many people think. Plus, they can’t eat each other. Therefore, they are better than humans. Because potatoes are better than humans, they should not be eaten by humans. The humans can eat themselves. All should bow down to the potatoes and eat the humans. Anna Baker made this book in grade 7. Books bloom! 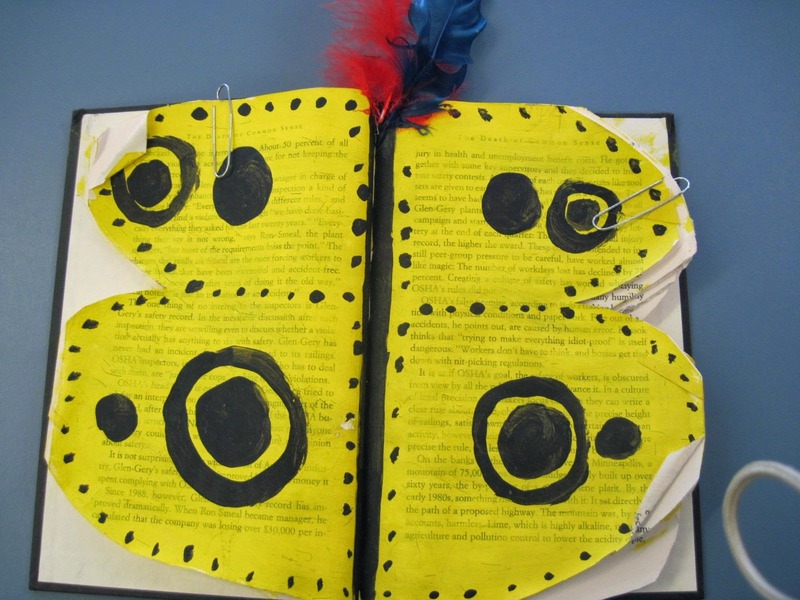 Gemma Shay made the butterfly book when she was in 7th grade. Her theme was Metamorphosis (and how a book can change you). I was playing with the theme: The Nature of Music. When I see birds on phone lines, they remind me of musical notation. Maybe they are? 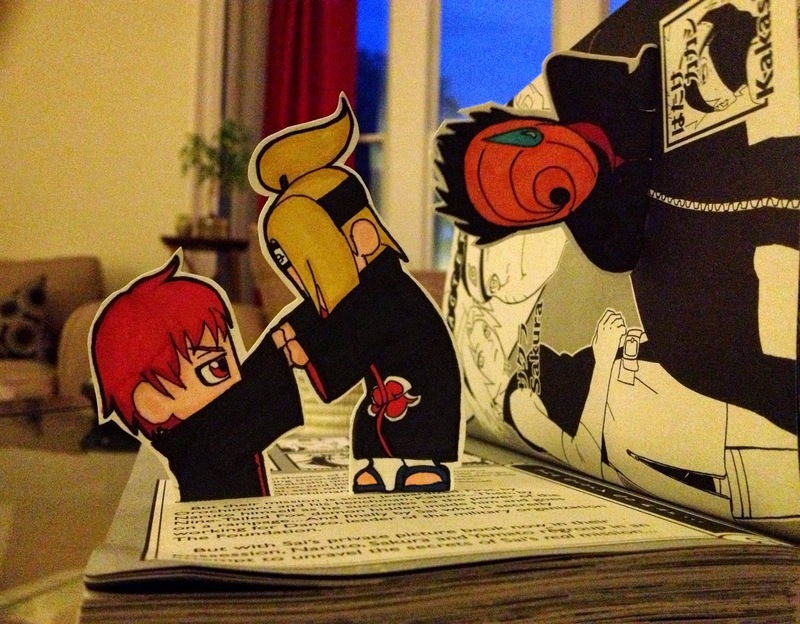 Now, do YOU want to alter a book? Pick one that has seen its best days. Maybe it’s even at the Yarmouth dump? Why not make some art today?